Apr 18 sallymay stock portfolio has earned them 0 style. Apr 11 sallymay stock portfolio has earned them 0 style. Apr 04 sallymay stock portfolio has earned them 0 style. Mar 28 sallymay stock portfolio has earned them 0 style. Mar 21 sallymay stock portfolio has earned them 0 style. Mar 14 sallymay stock portfolio has earned them 0 style. Mar 07 sallymay stock portfolio has earned them 0 style. Feb 28 sallymay stock portfolio has earned them 0 style. Feb 21 sallymay stock portfolio has earned them 0 style. Feb 14 sallymay stock portfolio has earned them 5 style. Feb 07 sallymay stock portfolio has earned them 0 style. Jan 31 sallymay stock portfolio has earned them 0 style. Jan 24 sallymay stock portfolio has earned them 0 style. Jan 17 sallymay stock portfolio has earned them 5 style. Jan 10 sallymay stock portfolio has earned them 0 style. Jan 03 sallymay stock portfolio has earned them 0 style. Dec 27 sallymay stock portfolio has earned them 0 style. Dec 20 sallymay stock portfolio has earned them 0 style. Dec 13 sallymay stock portfolio has earned them 15 style. Dec 06 sallymay stock portfolio has earned them 40 style. Nov 29 sallymay stock portfolio has earned them 0 style. Nov 22 sallymay stock portfolio has earned them 0 style. Nov 15 sallymay stock portfolio has earned them 0 style. Nov 08 sallymay stock portfolio has earned them 0 style. Nov 01 sallymay stock portfolio has earned them 0 style. Oct 25 sallymay stock portfolio has earned them 0 style. Oct 18 sallymay stock portfolio has earned them 0 style. Oct 11 sallymay stock portfolio has earned them 0 style. Oct 04 sallymay stock portfolio has earned them 0 style. Sep 27 sallymay stock portfolio has earned them 0 style. Sep 20 sallymay stock portfolio has earned them 0 style. Sep 13 sallymay stock portfolio has earned them 0 style. Sep 06 sallymay stock portfolio has earned them 0 style. Aug 30 sallymay stock portfolio has earned them 0 style. Aug 23 sallymay stock portfolio has earned them 0 style. Aug 16 sallymay stock portfolio has earned them 5 style. Aug 09 sallymay stock portfolio has earned them 10 style. Aug 02 sallymay stock portfolio has earned them 5 style. Jul 26 sallymay stock portfolio has earned them 15 style. Jul 19 sallymay stock portfolio has earned them 15 style. Jul 12 sallymay stock portfolio has earned them 0 style. Jul 05 sallymay stock portfolio has earned them 0 style. Jun 28 sallymay stock portfolio has earned them 0 style. Jun 21 sallymay stock portfolio has earned them 0 style. Jun 14 sallymay stock portfolio has earned them 5 style. Jun 07 sallymay stock portfolio has earned them 0 style. May 31 sallymay stock portfolio has earned them 0 style. May 24 sallymay stock portfolio has earned them 0 style. May 17 sallymay stock portfolio has earned them 0 style. May 10 sallymay stock portfolio has earned them 0 style. 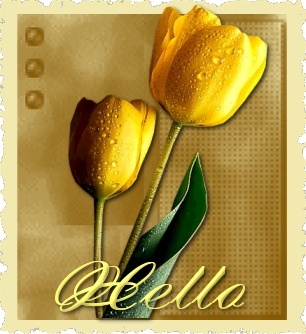 May 03 sallymay stock portfolio has earned them 0 style. Apr 26 sallymay stock portfolio has earned them 10 style. Apr 19 sallymay stock portfolio has earned them 5 style. Apr 12 sallymay stock portfolio has earned them 0 style. Apr 05 sallymay stock portfolio has earned them 0 style. Mar 29 sallymay stock portfolio has earned them 0 style. Mar 22 sallymay stock portfolio has earned them 65 style. Mar 15 sallymay stock portfolio has earned them 5 style. Mar 08 sallymay stock portfolio has earned them 0 style. Mar 01 sallymay stock portfolio has earned them 0 style. Feb 22 sallymay stock portfolio has earned them 0 style. Feb 15 sallymay stock portfolio has earned them 10 style. Feb 08 sallymay stock portfolio has earned them 0 style. Feb 01 sallymay stock portfolio has earned them 5 style. Jan 25 sallymay stock portfolio has earned them 0 style. Jan 18 sallymay stock portfolio has earned them 5 style. Jan 11 sallymay stock portfolio has earned them 0 style. Jan 04 sallymay stock portfolio has earned them 0 style. Dec 28 sallymay stock portfolio has earned them 0 style. Dec 21 sallymay stock portfolio has earned them 0 style. Dec 14 sallymay stock portfolio has earned them 5 style. Dec 07 sallymay stock portfolio has earned them 40 style. Nov 30 sallymay stock portfolio has earned them 0 style. Nov 23 sallymay stock portfolio has earned them 0 style. Nov 16 sallymay stock portfolio has earned them 0 style. Nov 09 sallymay stock portfolio has earned them 0 style. Nov 02 sallymay stock portfolio has earned them 0 style. Oct 26 sallymay stock portfolio has earned them 0 style. Oct 19 sallymay stock portfolio has earned them 5 style. Oct 12 sallymay stock portfolio has earned them 5 style. Oct 05 sallymay stock portfolio has earned them 0 style. Sep 28 sallymay stock portfolio has earned them 0 style. Sep 21 sallymay stock portfolio has earned them 0 style. Sep 14 sallymay stock portfolio has earned them 0 style. Sep 07 sallymay stock portfolio has earned them 0 style. Aug 31 sallymay stock portfolio has earned them 0 style. Aug 24 sallymay stock portfolio has earned them 0 style. Aug 17 sallymay stock portfolio has earned them 10 style. Aug 10 sallymay stock portfolio has earned them 0 style. Aug 03 sallymay stock portfolio has earned them 0 style. Jul 27 sallymay stock portfolio has earned them 0 style. Jul 20 sallymay stock portfolio has earned them 0 style. Jul 13 sallymay stock portfolio has earned them 0 style. Jul 06 sallymay stock portfolio has earned them 65 style. Jun 29 sallymay stock portfolio has earned them 0 style. Jun 22 sallymay stock portfolio has earned them 0 style. Jun 15 sallymay stock portfolio has earned them 0 style. Jun 08 sallymay stock portfolio has earned them 0 style. Jun 01 sallymay stock portfolio has earned them 0 style. May 25 sallymay stock portfolio has earned them 0 style. Welcome my DUCster sibling, I look forward to knowing you better. Hey Sallymay!! Welcome to Dress Up Challengers. I hope you enjoy being a part of this team. It's good to have another member join us. HAVE FUNNN!!! Welcome to Dress Up Challengers! Catching up on your doll album love it! A lot of fun shopping at your shop sally's play house love my purchases. I hope your weekend is as lovely as your doll album. Hey! Stopped by to catch up on your doll album and to thank you for being a great FINDERS KEEPERS customer. 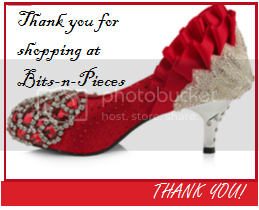 I appreciate it and hope you will shop with me often! Enjoy shopping and you have a beautiful doll album. WOW....you had me going for a while...could not figure out who you were......but reading the below messages I am now totally confused as to who you are?? LOL! I thought I had a new customer! That name change caught me ... but nettiestyle message below has me totally confused. If you aren't michelleb ... why wouldn't you begin a new account? Thanks for shopping at FINDERS KEEPERS! Hope to see a lot more of you this year! Hello Sallymay welcome and Happy 2015! 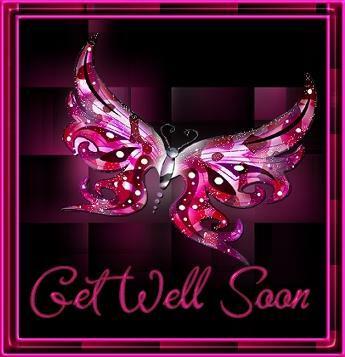 If U talk with Michelleb let her know that we miss her and pray that she and her family is well! Thanks U. Miss You Michelleb Take care of You and your family God is with you Happy Holiday!!! We're nearing the end of another year, and I wanted to thank you for being a valued FINDERS KEEPERS customer! I hope to see a lot more of you next year! Enjoyed catching up on your great doll album! Hope you and your loved ones enjoy a wonderful holiday season! Hope you will have a Merry Christmas and A Happy New Year! I really hope your 2015 will be as lovely as your Doll album.Take Care and God Bless! I rated some of your album! Always lovely! Catching up on your currents dolls always a joy! Congratulations on being featured in your guild. Your page and your dolls are both winwin! Hello, I see it has been a while..but I have caught up once again to your lovely album...Hope you are having a wonderful day!!! Awesome doll in your album I am catching up and your page and your doll are a WIW WIN! Your page is a winner hope you win! 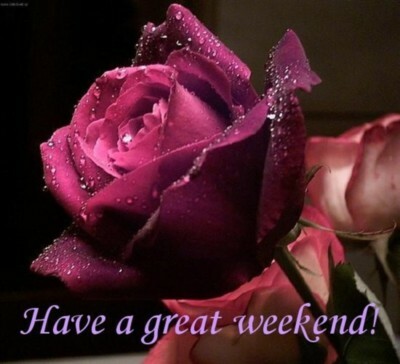 have a happy week. WOW, I love Your Caden Doll, wonderfully done!